When I was Advertising manager at Asda, we switched our in-store promotions and marketing from being buyer-led to being customer-led, based on 13 themes across the year to ensure our marketing was as relevant and effective as possible. It included obvious themes like Christmas as well as Barbecue Time & Extra Value. No doubt you have seen numerous marketing materials making use of Halloween over the past week and for many this may be appropriate but it is not for everyone. Below, I have shown a poor example of using Halloween as a theme and one that made me smile (which some say is quite rare)! 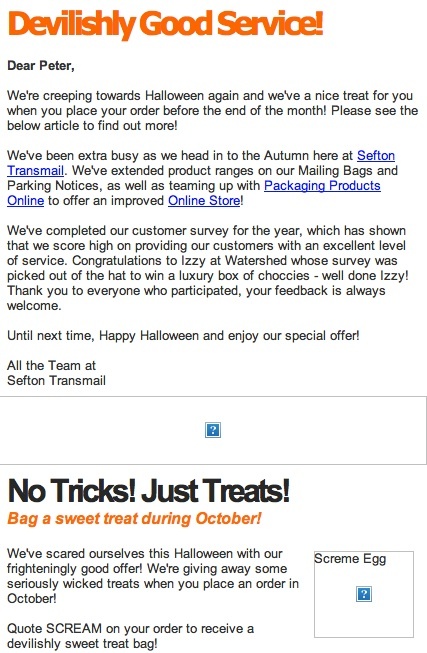 It’s from a print services company that has just used Halloween in the title and as a incentive if you place an order. What’s Halloween got to do with an online company selling cycles and accessories? 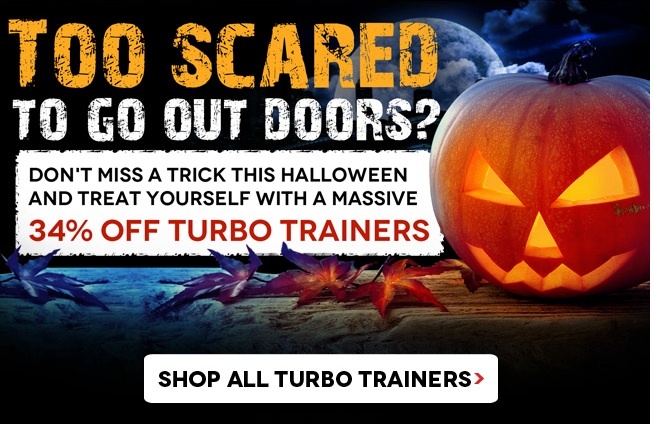 ‘Too scared to go out doors? – treat yourself to a turbo trainer’. A good piece of copy writing with some wit and charm makes all the difference.